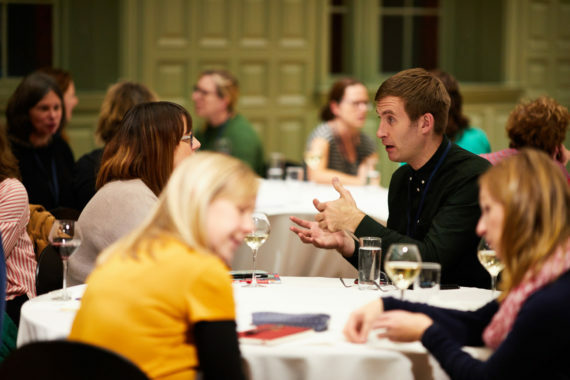 This year's Engage conference in Manchester brought together educators, curators, researchers, artists and policymakers to discuss the diversity of approaches to arts and health – both physical and mental – in current practice. Artist and writer Alistair Gentry reports. 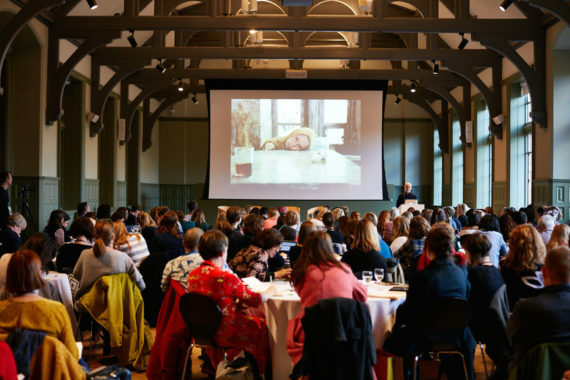 Throughout the Engage: A Social Prescription conference at Manchester’s Whitworth Art Gallery, there was talk of two different and somewhat contradictory kinds of evidence related to the contribution the arts can make to physical and mental wellbeing. The evidence of our own experiences as artists, arts practitioners, and participants tells us that art can be massively transformative, sometimes instantly, sometimes retrospectively over the course of many years. What is paradoxically more elusive, however, is the empirical data about why, how and with whom art achieves measurable aims now – which is generally the only type of evidence that carries much weight with people outside of the arts. Alistair Hudson, director of the Whitworth and Manchester Art Gallery, spoke quite forcefully about how the upper echelons of critically-acknowledged contemporary art stumble on, zombified, purposeless and of little interest to anyone but those critics. Instead, he argued for “art not as a thing but as a humanising force”. 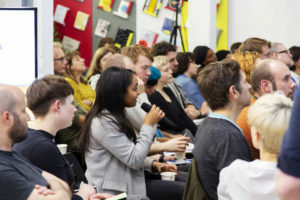 Clive Parkinson, director of the Manchester Institute for Arts, Health and Social Change, had suggestions for where this humanising force could be applied. He stated, for example, that around 40% of hospitals provide no support of any kind to women with postnatal depression. Parkinson also cited the Torrance Tests of Creative Thinking in children. These showed divergent, emergent and creative thinking trending upwards from the 1960s until the 1990s, when educational emphasis shifted to STEM subjects (science, technology, engineering and mathematics). 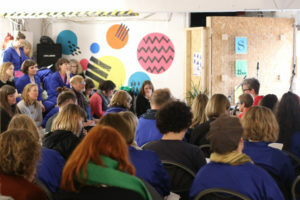 This measure of creativity has declined ever since – although, said Parkinson, creativity isn’t so different from STEM: “It isn’t about freedom from facts, but a way of fact finding.” In slight counterpoint to this, Julie McCarthy from the Greater Manchester Combined Authority very cogently pointed out that unlike art alone, some social prescribing – for loneliness and isolation or mental illness, for example – is deemed successful when people don’t take part any more, because they don’t need to. Some delegates seemed to display a naive delight in health secretary Matt Hancock’s September statement on a “growing evidence base that social prescribing can be better for patients than medicine”. The more canny contributors noted that Hancock’s observation that this can achieve “the same or better outcomes for patients without popping pills” had a predictable, cost-cutting sting in the tail: “…it saves the NHS money. Because many of these social cures are free.” Of course, as Alex Coulter, chair of the Culture, Health and Wellbeing Alliance reminded us, “nothing is really free”. It should also be noted, as artist Penny Anderson recently pointed out, that the artists and companies who pick up where the NHS has been relieved of its responsibilities will do so in an environment of pervasive underpay, overwork and undervaluation in the arts sector. This as the NHS itself suffers from vicious ideological cuts, massive staff shortages and piecemeal privatisation. Parkinson also raised the issue of the public perceiving social art prescribing as taking money away from the NHS rather than working in harmony with it. It’s always great to see evidence-based best practice presented with no apology as it unanimously was in Manchester. All of the endeavours I saw presented at the conference were scrupulous about paying the artists and mitigating the impact upon them of working in stressful environments with people who live with cancer, pain, mental illnesses or traumatic experiences. Unfortunately, many artists know from experience what the Paying Artists campaign uncovered and what my research on mental health for a-n showed earlier this year: even when our work as artists directly impacts other people’s lives, livelihoods and communities, consideration for our mental or physical wellbeing is often so far down the art world’s list of priorities that we drop off the bottom. Esme Ward, director of Manchester Museum, reminded everyone to “think about how we rely upon the passion of workers” in the arts. Rachel Blanche, who lectures in cultural policy and management at Queen Margaret University Edinburgh, was also clear that social prescribing and the arts sector in general cannot function effectively without “supporting artists to deliver their highest quality work”. The conditions for this need to be in place from the start, adequate resources being one example of the requirements for success that are sometimes not forthcoming. Blanche added that “quality often isn’t within full control of the artist” when they are instrumentalised as healthcare or social agents, except for decisions they make individually in the moment. 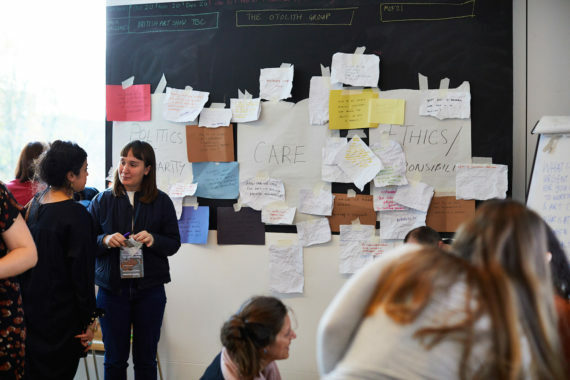 External partners and decision makers “outside the room” – funders, commissioners, arts organisations – have increasingly limited the scope of what the artist has power or agency over. 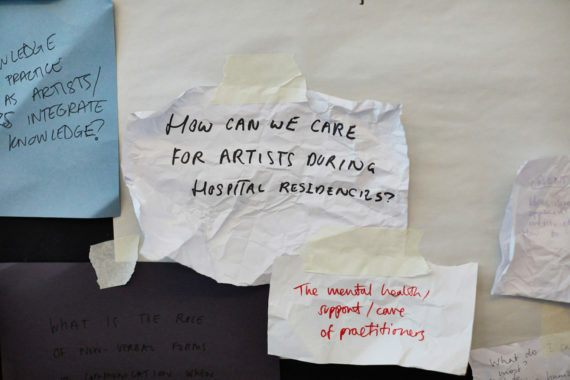 The Serpentine Gallery’s Art+Care collaboration with Imperial Health Charity and Imperial College Healthcare NHS Trust offered one alternative to this in reframing the artist as an embedded professional undertaking research; a person engaged in a skills exchange rather than a provider of a service. Returning to public perceptions, the presentation by Rachel Massey from Yorkshire Sculpture Park included unexplained and uncontextualised mentions of “FANYs” (First Aid Nursing Yeomanry, all-female auxiliary units during both world wars) and art jargon such as “periodically activated sculpture” and “horse assisted development practitioner”. I mention this not to criticise Massey or YSP’s engagement efforts but because it was so striking that, even having been wholly invested and obviously very moved by the experience, she still struggled to find a vocabulary that was intelligible or replicable to somebody who wasn’t there. How do you capture an emotional state as words or data, and do the words and numbers tell you everything? In the same session, Karen Ingham reiterated that a blanket medicalising approach to certain problems was measurably inferior to a more human, subjective one. Her work with young people using Google’s Tilt Brush software in virtual reality headsets to sculpt visualisations of their negative or suicidal thoughts has the advantage of leaving a visible legacy of an emotional experience; somebody else can put the headset on and actually be inside another person’s head space. Clare Reynolds from Restoke in Stoke-on-Trent shared some other pragmatic suggestions for reframing people’s experiences, explaining that Restoke’s projects are “not about trying to solve anything” and “not therapy”. They are also led by a particular existing need, rather than a pet project in search of a home; in the case of its Man-Up project, social isolation and poor mental health among men. Careful crafting of a call out, asking that the men help Restoke and each other rather than Restoke offering to help them, led to an uptake and retention rate that impressed many at the conference. 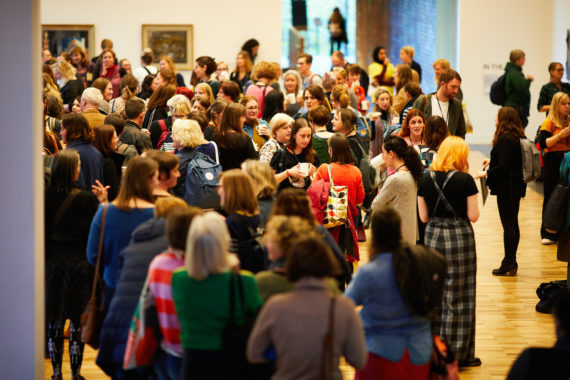 Men generally don’t do community arts and arts education, either as participants or practitioners, something the overwhelmingly female conference delegates and speakers demonstrated. Earlier, Ingham had lamented that it’s rare for patients or participants to be seen at conferences about them, but Reynolds proved there are exceptions and shared the stage with Jamie, a Man-Up participant. He spoke of having “years of therapy” but that through the project “I’ve grown in ways I could never grow in therapy”. Other simple but innovative ideas that were shared included having an artist draw participants to document what they’re doing instead of having cameras in their faces all the time. 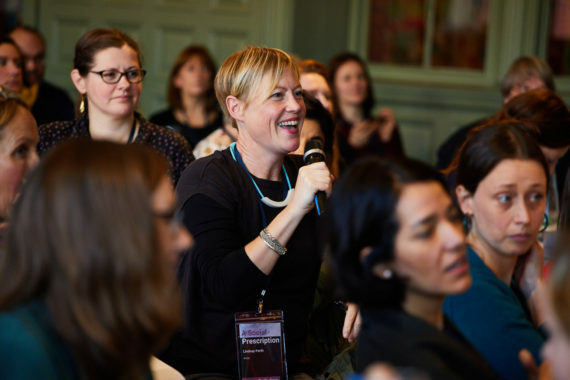 McCarthy’s session on developing useful measures of success for co-productions by arts and healthcare organisations was reassuring in the sense that we definitely can prove that the things we do have an impact. “It’s not rocket science, it just takes time,” she said. 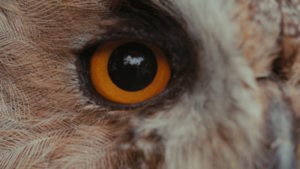 But even somebody as obviously wild about data as she was made it clear that extrinsic, measurable outcomes and an exclusive focus on the quantitative overlooks quality, ethics and aesthetics. Data should help to “tell the story” and not be seen as an end in itself. McCarthy also spoke about a huge project mapping cultural provision in Greater Manchester, with a view to getting more people to make use of it all. Although it’s an ambitious, earnest and well-intentioned idea, I’m troubled by this kind of ‘audience development’ work and the portfolio organisation gatekeeper approach. It starts from a tacit, unexamined paternalistic premise that cultural gatekeepers are self-evidently right and know best; if only audiences were better informed they would realise it and come along to receive the culture that’s been made for them. This could hardly be more at odds with the notion of social prescribing and how individual-centred it has to be in order to be effective. Throughout the UK there are always great cultural activities on our doorsteps that could be better publicised or signposted, but I also think that people with low or no engagement with the arts often have a fairly accurate impression of what their local art gallery or theatre is doing. That’s precisely why they don’t go. As artists, we all know there are certain commissioners or venues whose programmes over the course of many years say absolutely nothing to us and who will never work with or have a place for artists like us, whoever ‘us’ is. It’s patronising to assume that people who don’t work in the arts aren’t picking up the same signals. Jane Willis of the arts and health consultancy Willis Newson followed a similar train of thought. She mentioned that even before we consider how the arts and artists can fit into the model of social prescribing we should remember that the arts in general are not accessible or comprehensible to everyone. Willis echoed many other speakers in her plea for people to be treated as individuals, not just as patients. I also think there’s probably still some work to do on the side of arts organisations, healthcare providers and the general public to really see artists as artists – to embrace and reward our risk-taking, externalising and reflection as valuable things in themselves. Especially if they’re being used alongside medicine and medical colleagues to meet their aims too. 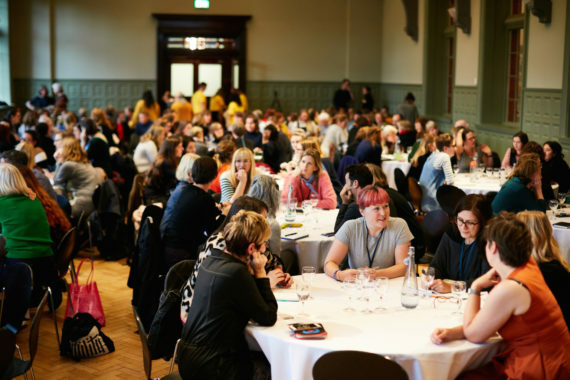 Engage: A Social Prescription took place 13-14 November 2018 at Whitworth Art Gallery, Manchester. Discover mental health and wellbeing resources and features including profiles of Bobby Baker, Ria Harley, Liz Atkin and Bethlem Gallery, plus guidance on support available for artists and others with mental health problems.